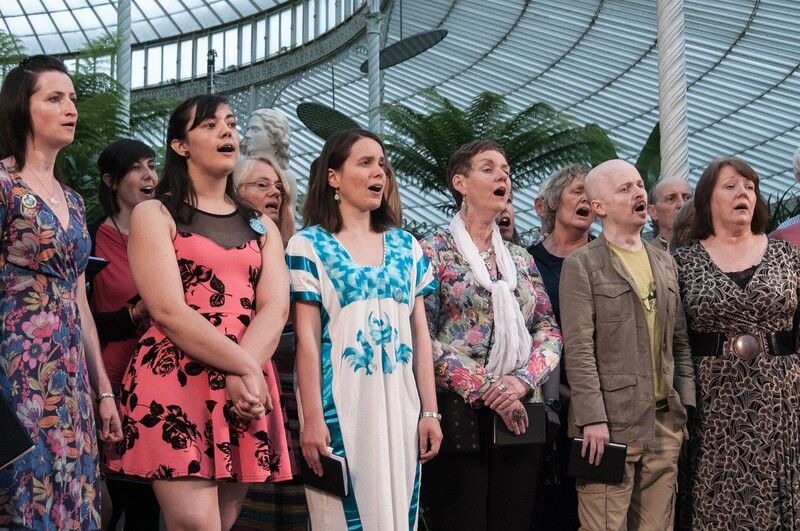 Glasgow’s acclaimed world music community choir celebrates fifteen years of unaccompanied harmony singing in many styles and languages, for and by people from many lands who now call Scotland their home. Join them for a free, family friendly concert amid stunning surroundings. Voicebeat World Music Community Choir have been meeting weekly in Glasgow’s West End since 2002, and perform regularly at community events large and small. Their members are drawn from across Scotland and beyond. They sing in many styles and languages, unaccompanied and in harmony. They are led by Harry Thomson but each term features a public workshop led by an invited artiste. Free membership is extended to refugees and asylum seekers. They welcome asylum seekers and refugees and aim to assist in the fundraising of all charities, particularly in Glasgow, with those aims.